Beauty may be in the eye of the beholder, but a little assistance never hurt. Not only do these stores have a plethora of products they also have experts who can help you have the healthiest hair and skin and the best body care. Next time you want to treat yourself, check out these 10 awesome beauty supply stores in California. Two decades of service to OC customers looking for the best in beauty supply put this store at the top of the supply chain of high-quality beauty merchandise. You’ll find hair, nail and skincare products, makeup, bath essentials, candles, as well as hair tools, sheers and scissors. 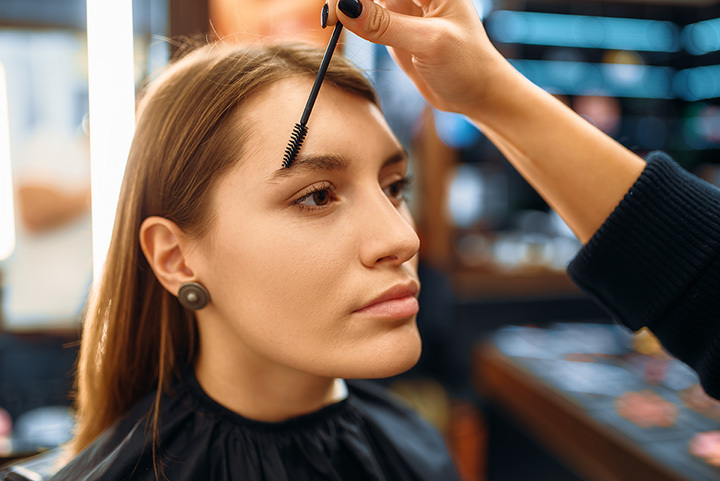 In addition to retail products, get a cut and color, extensions or eyebrow waxing. This is a one-stop shop for all wigs, weaves, extensions, braids and hair care products for all hair styles and types, plus hair supplies and accessories, as well as makeup. It’s a well-known family-owned and operated store that’s been serving the local community for more than 20 years. Wigs and hair pieces are a large part of inventory and include those made with 100 percent human hair, Brazilian and synthetic hair. Established in 1940, this store is a landmark shop chockfull of professional hair and makeup supplies throughout its 15,000 square-feet of space. It’s open to the public, but also serves the student and entertainment industry. The store is like buffet of beauty products with everything from airbrushes for makeup to exfoliators to face masks. Professional artists, students or cosmetologists and estheticians are eligible for the Frends With Benefits discount program. As you navigate the overflowing baskets and bins on the floor filled with headbands in all colors and materials, be sure to look around at the enormous selection of merchandise that lines the walls and shelves. Since the early 1990s, this has mom-and-pop shop has been the place to go for top-of-the-line beauty products. Popular skincare and cosmetic brands include Fresh and Shiseido. Nail polish from Butter London and Cote come in vibrant colors. Make an appointment at the full-service on-site salon for makeup, body waxing or a therapeutic massage. Extensive knowledge of the barber and beauty industry is what keeps this family-owned business on the cutting edge of the professional barber and beauty industry. On the barber side of things, you’ll find clippers and trimmers, oils and disinfectants, razors, hair products, blow dryers, combs and brushes, plus shampoos and conditioners. Cosmetics range from foundations to tools. Mobile delivery services brings the store to the customer. A little shop with a whole lot of stuff keeps its clientele coming back because of the local owner’s commitment to exceptional customer service. And by keeping the shelves stocked with the best products in the beauty industry. You’ll find popular brands like Abba, Burt’s Bees, Redken in hair care, Nailtiques and Gelish in nail care, and Dermalogica, Evian and Revitalash in skin care. There’s a full-service salon, too. You do not have to be a licensed beauty professional to shop here, just someone looking to find the best in beauty products, at this, the only locally-owned and operated shop in the area. The highly trained staff will help you find just what you’re looking for to enhance your lifestyle. It’s a bright, cheery, colorful and easy-to-navigate store full of hair, skin, nail, make-up and bath and body products, plus men’s grooming supplies and an array of tools and accessories. Salon onsite as well as gift shop and boutique. If you’re looking for all-natural face and body care products, this is the go-to shop. Everything is made in small batches, using simple, organic, locally-sourced ingredients. The end results are natural, well-made and fragrance-free personal health products that soothe, heal, moisturize and protect. Both men and women will find everything from shaving supplies to face care, hair essentials and useful accessories. You skin will feel good, and you’ll feel good in it with these restorative products. Reduce, reuse and recycle, the three r’s of reducing waste. This store embraces all three. Bring in a container or buy one at the store and fill it with one of the eco-friendly products that are all plant and mineral based to ensure a toxin-free home. Body lotions, shower gels, shampoo, conditioners, shea butters, shaving splashes and lip balms are all made by companies committed to using all-natural, non-GMO, paraben free, no artificial colors or fragrance ingredients. Some are certified cruelty free companies. Feel good about yourself and treat the Earth well. Finding all of your beauty needs in one place helps make shopping for them a whole lot more convenient. This store has been a part of the local community for more than 30 years, so the owners know beauty. They’ll help you with personalized skin and hair care regimens, hair color matching and makeup purchases. A wide-range of name-brand products, plus a hair salon, waxing and facials, too. Walk-ins welcome or schedule an appointment.